Kang Ji-hwan and Hwang Jung-eum in SBS "Incarnation of Money"
Actor Kang Ji-hwan and actress Hwang Jung-eum are starring in the upcoming SBS drama "Incarnation of Money". 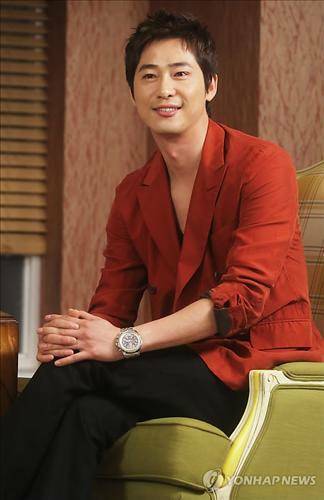 Kang Ji-hwan takes on the role of Lee Cha-don who rises to the seat of a special branch prosecutor with the money of a loan shark. Hwang Jung-eum takes on the role of Bok Jane, the daughter of the loan shark who raises Lee Cha-don. "Incarnation of Money" which is going to be aired after "Cheongdam-dong Alice", is about the lobbying and corruption of the Korean society through Lee Cha-don who loses everything because of money. The third character between this love triangle will be played by Lee Tae-im as the female prosecutor Jin Hyun-bin. "Incarnation of Money" is written by Jang Yeong-cheol and Jeong Kyeong-soon-I and produced by Yoo In-sik. Meanwhile, Kang Ji-hwan is currently in a legal fight with his agency including a 360 million won compensation and an appeal to stop all of his activities. "Kang Ji-hwan and Hwang Jung-eum in SBS "Incarnation of Money""
Jeon Do-yeon and Go Soo married in "Way Back Home"